MW Brother Andrey Bogdanov, could you please present for us – briefly – The Grand Lodge of Russia? The Grand Lodge of Russia exists since 1995 – I am referring to the modern Grand Lodge. Nowadays, we have 25 lodges. Since 1992, almost 800 brethren have been initiated in the Russian jurisdiction. We have lodges in Moscow, Voromej, St. Petersbourg, Vladivostok, Soci, Kaliningrad, Krasnodar, Magnitogorsk, Ekaterinburg, Saransk. We have the recognition of 130 international Grand Lodges. We entertain brotherly relations with even more than that, and are waiting on certain technical details to get resolved. It was four years since I had become Grand Master in June 2011. In those four years, I have visited approximately 50 different jurisdictions: Japan, Africa, various Grand Lodges in Australia, in America and in Europe. Do you believe that current-day Masonry is different to the Masonry of the past? Mankind’s actual problems are different from those of 3 or 4 centuries ago. The society is completely different. Therefore, also Masonry nowadays is different from Masonry in the past. Social problems are other than they were. In our days, Masonry no longer has global purposes as it did 300 years ago. But I think that it should have such goals. I believe that just like ways masons in the past dreamed of how mankind would live in the future, so also we nowadays should be thinking and dreaming about how mankind would live 100 years from now and to add our own dreams and ideals. This is a more difficult matter, I would rather not speak of the entirety of Eastern European masonry. I can only really speak about Russian Masonry, post-communist period. Russian Mason was always a dreamer, a visionary, a philosopher. What is the relation between Russian Masonry and political power in Russia? With the president we have a normal relation, accurate one and normal communication. We have periodic meetings with the representatives of the presidential administration, they take interest in whatever problems we happen to have and how things are working out for us. In those special political moments that arise at times, our position is to stay safely away. We do not want that Masonry should be involved in these moments. We would not want the judgments of public opinion to conclude that masons took one side or the other. On the other hand, masons have participated also in political activities, but in their own name, without involving the institution of Masonry. How is Masonry perceived at the level of the common man in Russia? The perception of Masonry of the common men is an entirely normal perception. The usual stuff. We must understand the history of the Russian Masonry, of the Russian state, in order to answer this question. Briefly put, after the French Revolution, when Masonry was prohibited in Russia – seeing as how the Czar saw it as a threat – as well as in the later time of Catherine the Great, the masons were the object of scorn, which of course influenced public opinion. The second moment we must dwell on is the Soviet Revolution. The Grand Orient of Russia actively participated in the revolution. The Soviet power did not forget this fact and over the course of the following 70 years, Masonry was not merely treated with scorn, but it was downright discredited. Common people, who do not know much history, from the very beginning of the new democracy in Russia, had this extremely negative perception of Masonry. In the time of the Soviet rule – we remember even now that article in the official forms concerning nationality – masons were labeled as Zionists, as Jews. My opinion is that the common man simply does not know the teaching of the Old Testament and, seeing as how Masonry is founded on its rules, simple men cannot possibly understand Masonry properly. All these things must be overcome and in the last 15 years we have made efforts to accomplish this. We are endeavoring to overcome the historical burdens which Russian masonry alas still must bear with her. I believe we will manage to overcome them, because contemporary Russian society is already starting to come to a different understanding of things. Masonry is starting to be perceived properly. 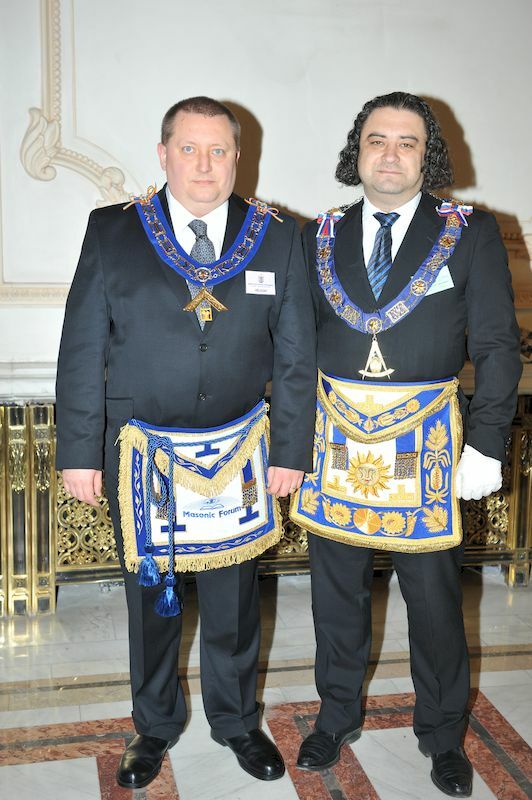 What are the relations between the Grand Lodge of Russia and the NGLR? Our relations with the NGLR are very good. I have been to Romania many times, both myself and others among my brethren, then the Romanian brethren have come to Russia. I hope, in fact I am convinced that the relations with the NGLR will get better and better. For the last several years, we have gone through an economic crisis that only seems to deepen, as times passes. As a political, how do you see the current situation? Eastern Europe should change her attitude toward her neighbor to the East – Russia. The salvation of Eastern Europe, in my opinion, lies in a tighter and tighter cooperation with Russia. Eastern Europe is repeating the mistake it made ever since the Warsaw Pact. Then it was cooperating only with the USSR and now the situation has been reversed: it only cooperates with Western Europe, avoiding Russia. Political moments have unfortunately gained primacy above economic moments. The political should rather be backgrounded – economic cooperation should be foregrounded. In closing, could you please present us a short CV. I work as a political consultant in the Russian Federation. I became a mason in 2001, in April, in Russia. 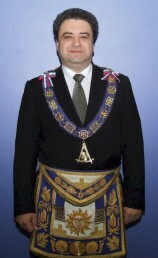 In 2006, I was elected Pro Grand Master, then in 2007 I became Grand Master of the Grand Lodge of Russia. In 2008, I candidate for the Presidency of Russia. I did not hide the fact that I am Grand Master. I obtained one million votes.